You know not to gobble 12 donuts in one sitting, but do you understand the deeper intricacies of sugar and its effects on your body? High blood sugar, which occurs when your body can’t properly transport sugar from your blood into your cells, is a serious health concern affecting nearly one in three Americans. 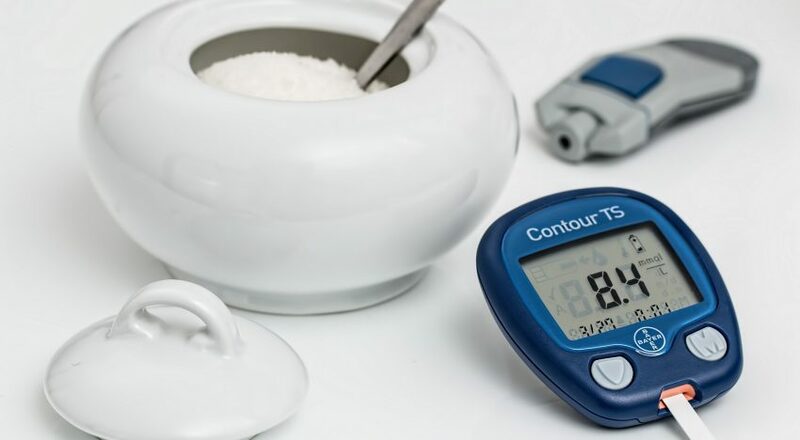 Due to the severe and long-term health effects of high blood sugar, make sure you know how to identify the warning signs and learn the best ways to naturally bring your blood sugar back under control. Doing so could save you from a type 2 diabetes diagnosis in the future! What Is Blood Sugar and Glycemic Control? Your body relies on a healthy stream of carbohydrates for energy. Carbohydrates move through your digestive system and break down into sugars called glucose. All glucose travels directly to the bloodstream, where it remains until a substance called insulin arrives to shuttle glucose to the cells throughout your body. The amount of sugar in your blood at any given time is called your blood sugar. Your ability to control your blood sugar and keep it healthy is known as glycemic control. The pancreas produces and releases insulin as soon as it senses elevated blood sugar levels. This process is essential since it prevents sugars from accumulating in your blood and helps you keep glycemic control. As soon as insulin streams into the blood, it transports glucose inside muscle, fat, and liver cells to provide the fuel that keeps your body functioning. This sugar-insulin-energy process is natural and healthy, but unfortunately, it’s also highly threatened by today’s processed foods and unhealthy lifestyle habits. Many people live day to day with far too much glucose in their blood. In turn, that much sugar forces their insulin levels to spike. If you eat too much sugar day after day, week after week, your poorly regulated blood sugar levels will cause your blood to thicken. Thick blood makes the heart work harder and makes the body more vulnerable to heart attacks, strokes, vision problems, nerve problems, and more. What Blood Sugar Levels Are Considered Dangerous? Eating one brownie at your birthday party won’t ruin your blood sugar levels, but making unhealthy eating and lifestyle choices for many months and years can put your glycemic control at risk. A blood sugar chart can show you what blood sugar levels are considered safe and dangerous. Keep in mind that blood sugar fluctuates throughout the day, so it’s important to match your results to the time of your blood sugar test. It’s also important to note that blood sugar levels are not fully objective. A high blood sugar level for a healthy adult may be considered an acceptable blood sugar level for someone with diabetes. It’s all relative to your health and age. Ranging outside of your target blood sugar level may happen from time to time, but any blood sugar reading above 160 mg/dl indicates a serious problem. 160-240 mg/dl Too high! Take active steps to lower your blood sugar. 240-300 mg/dl Diabetes is out of control and needs to be treated. Above 300 mg/dl Seek medical attention immediately. What Can Happen If You Don’t Lower Your Blood Sugar? High blood sugar causes immediate and long-term effects, none of which you want to experience. Research demonstrates a clear link between high blood sugar and an increased risk of heart disease and diabetes. There’s no denying that consistently high blood sugar makes you more vulnerable to many health complications. Studies show that those who eat about 20% of their calories from added sugar have a nearly 40% higher risk of dying from cardiovascular disease than those consuming less sugar! That’s a staggering difference caused directly by the side effects of excess sugar like inflammation, obesity, high triglyceride levels. Pre-diabetes and type 2 diabetes are also serious health problems known to develop as a result of too much sugar in the body. As more sugar sneaks into your diet, more fat accumulates in your body. Sugary foods and drinks also cause blood sugar levels to spike and deprive your body of the energy it needs to exercise or plan wholesome, healthy meals. As a result, your body systems become vulnerable to diabetes. Sugar stimulates the release of dopamine in the brain. Dopamine is the hormone associated with pleasure and rewards. The spike of dopamine that you experience when eating a brownie gives you that satisfying “high,” but the euphoria doesn’t last. After that initial sugar rush, you crash. Minerals are pulled from your bones, teeth, and other parts of your body to help metabolize so much sugar. This causes nutrient deficiencies that zap your body of its energy and interrupt important functions. At the same time, your cravings for more sugar and another dopamine “high” leave you feeling irritable and emotional. It’s definitely enough to make you look twice at that slice of pie! There’s no denying the dangers of high blood sugar, but the good news is that you can exert a large influence over your glycemic control! Consider these tips to bring your blood sugar back within a safe range. That bread bowl at the restaurant is tempting, and so is that spaghetti and meatballs on the menu. However, a heavy carb intake spikes your blood sugar and forces more insulin into your system. Over time, this leads to insulin resistance because your body becomes used to the excessive flow of insulin attempting to process and transport your high blood sugar. One of the best ways to lower your blood sugar is to cut your carb intake down to 50 grams a day or less. Stick to this low-carb plan over a few months to help your system become more sensitive to insulin. Improved insulin sensitivity supports a normalized blood sugar cycle and reduces unpleasant blood sugar spikes. In addition to adjusting your dietary habits, you can also use natural supplements like LivLean Formula #1 to support normal blood sugar levels. LivLean contains milk thistle, green tea extract, B vitamins, and folic acid, all of which have been shown in clinical studies to balance blood sugar levels. Finally, adopt healthier lifestyle habits to support optimal blood sugar results. Exercise regularly, drink at least 8 cups of water a day, and find effective stress management techniques. In addition to improving your overall quality of life and decreasing your risk of disease, better exercise, hydration, and relaxation techniques will make it easier to manage your eating choices and sustain balanced blood sugar levels. What Foods Help Lower Blood Sugar? As you work to lower your carbohydrate intake, you’ll be wondering what foods you can use to replace your carbs and actively lower your blood sugar. 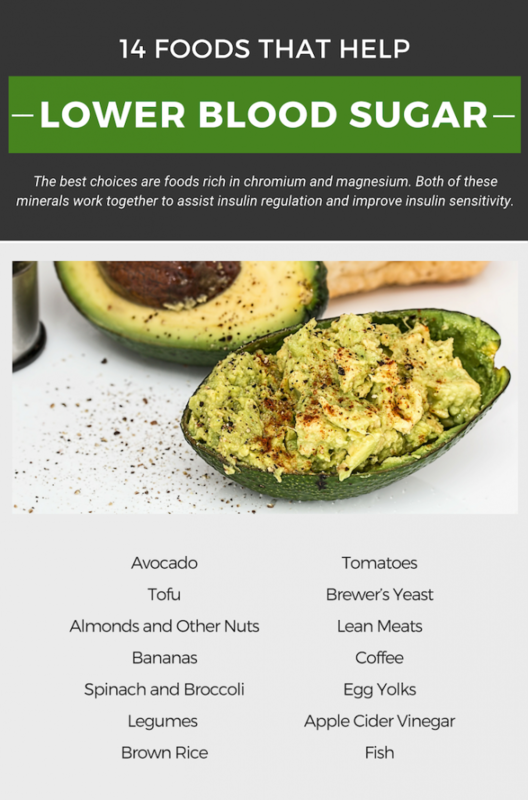 The best choices are foods rich in chromium and magnesium. Both of these minerals work together to assist insulin regulation and improve insulin sensitivity. Stock up on these healthy, tasty, and low-carb options to naturally recalibrate your blood sugar and enjoy the many benefits that come along with improved glycemic control.